Use 2.5 mL (half a cap) for each 80 L (20 gallons*) once or twice a week or as needed in response to signs of phosphorus deficiency (e.g. stunted growth, plant dark green). EXPERT: The beginner dose raises phosphorus by 0.05 mg/L (0.15 mg/L phosphate). The ideal phosphate level will vary, but generally ranges from 0.15–1.0 mg/L. Use MultiTest: Phosphate™ to monitor phosphate levels. To target a specific phosphate increase, dose according to the following formula: 0.8vp=m, where v= volume of tank in gallons*, p=desired phosphate increase and m=volume of product to use in mL. 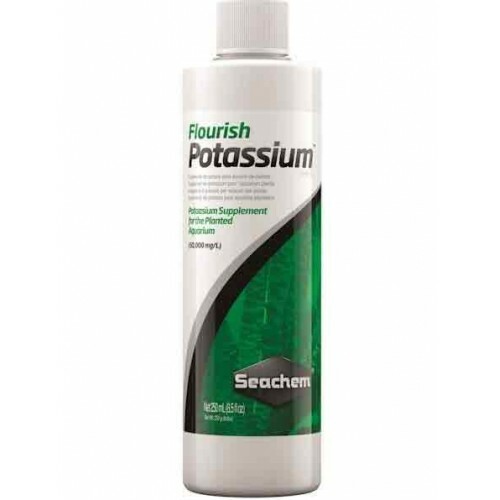 For example to raise 20 gallons* to 0.1 mg/L phosphate you would use: 0.8*20*0.1=1.6 mL.